Activist groups have been campaigning against palm oil for decades. What is less known though is that science has also been quietly working away, trying to find solutions to the myriad of issues that palm oil production creates… and it’s happening right here in Australia. First, a brief palm oil explainer. Palm oil is a vegetable oil which is used in many products on supermarket shelves, including food, medicine and cosmetics. It is a popular oil, due to being able to produce the most amount of oil per crop of any other vegetable oil, making production cheap. A longer list of products containing the oil can be found on the WWF website, with explanations as to why each product contains palm oil. In fact it can be listed as many different things on packaging, but rarely do the actual words “palm” and “oil” appear together. It is the largest source of vegetable oil on the planet, with almost half of products on supermarket shelves having palm oil or palm kernel oil in it. But despite the high content in oil palm crops, it is not enough to counter some environmental effects. Aside from being unhealthy by containing 50% saturated fat, another problem is that oil palms can only grow in tropical areas such as Malaysia and Indonesia. That area of the world has forests, and due to deforestation from clearing for oil palm plantations, this becomes an issue due to habitat loss for species such as the orangutan. It’s also a loss of giant carbon sinks, forests that absorb roughly a third of all carbon emissions. Popular ABC program The Checkout aired a segment of the challenges faced with regards to palm oil, including issues surrounding quality of life for those in countries were the palm oil industry is the main source of income. 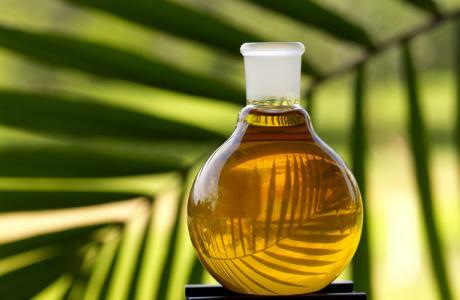 Science has found a way to make an oil crop that not only grows in temperate areas, but is a higher quality oil than palm oil. On top of that, it was found that the amount of oil produced per crop could be higher than that of oil palms. This research is currently a paper trail produced primarily by CSIRO scientists. This new crop would ensure demand is met as the global population rises, and also ensure that plantations are spread out and not concentrated in tropical areas such as in Malaysia and Indonesia. Unless this research can get the necessary backing via funding from governments, it may be some time before they are able to physically produce that crop. So, lobby your local MP to allocate more funding to plant research. Boycott anything with palm oil in it by checking ingredients carefully. Also, look for products with an RSPO certification as a sustainable palm oil alternative. There is no downside to a higher quality oil that can be grown in Australia, and the environmental and economic impacts could be vast. This entry was posted in environment and conservation, SCOM8014 and tagged deforestation, habitat loss, oil alternatives, orangutans, palm oil, sustainability. Bookmark the permalink.